Bethesda Softworks, the highly acclaimed company responsible for the publication of very popular games such as the Elder Scrolls and Fallout series, have just released a “terrified” trailer for their upcoming game (developed by Tango Gameworks) “The Evil Within” (release October 21st 2014) to showcase just how terrifying it really is! For those of you unfamiliar with “The Evil Within”, it’s an upcoming horror game to be released for all major consoles and Windows. 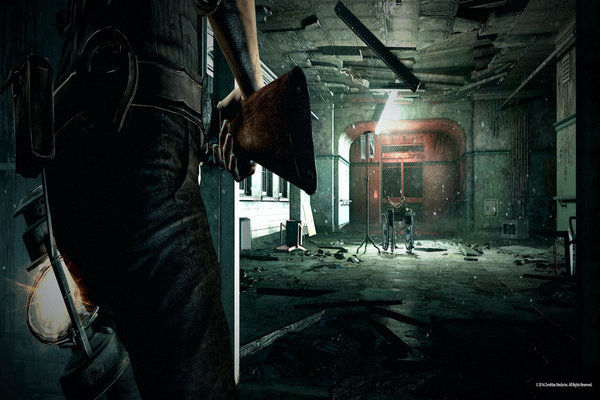 The game comes in the form of a third person survival horror, in which players will find themselves controlling “Detective Sebastian Castellanos”. After responding to a mass murder scene with his partners, he is knocked unconscious and awakens later to find himself stranded in this unfamiliar location where monsters seemingly run rampant. Sebastian must then get to the bottom of this mysterious occurrence and find the truth behind “The Evil Within” (well played Tango, well played). The “terrified” trailer seems to bring a few things to light, one of them being that the game is scary (go figure, right? ), another being that the people playing the game seem to be, at some points during the video, disgusted, so take that as you will. Perhaps the game is extremely gruesome, even more so than thought by simply reading about it, which is a good thing for any horror fan I would assume. There has been some controversy already behind whether or not the people playing the game are in fact actors or not (it is stated at the beginning of the video that they are not), but I feel it is somewhat irrelevant. The objective of the trailer is seemingly to demonstrate the fear factor in the game, so seeing a lot of people getting frightened would demonstrate that pretty well. However, if they are in fact actors, then the game is still receiving attention, mission accomplished. I personally feel the “trailer” is very interesting. It’s certainly a shame that there is no gameplay but this trailer still intrigues me. I’m not the biggest horror fan in the world, and I’d rather watch a horror movie than play a horror game, but I am a massive fan of the Resident Evil series (which is also a third person survival horror game) so I am excited to try this game out, and this trailer has backed up my suspicions that it’ll be terrifying, so that’s a plus. Also worth noting is the pre order reveal in the description of the video, which looks impressive. As for the game itself, I am extremely excited to try it out. From the screenshots alone I am very intrigued by the environments in particular. They seem to switch between an asylum type area to a mansion and a village and even more, which is very important for any game, for a refreshing change of pace. What do you think of the trailer, and the game itself? Would you be interested in picking this up? The fact that Bethesda is involved is also a massive plus for the game, as they are a widely respected company responsible for some of my (and many others’) favourite games.